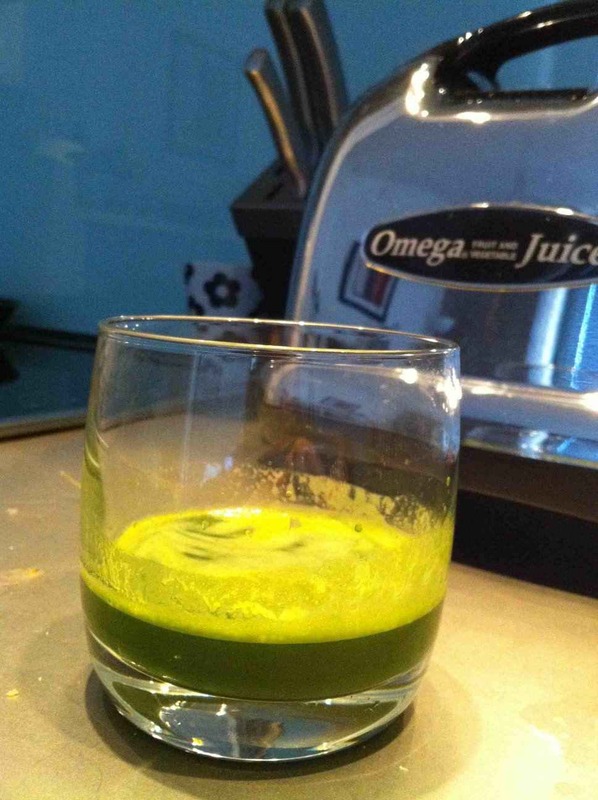 Wheatgrass juice is a substance so healthy it’s almost miraculous. Full of potent vitamins and minerals, it can help cure and prevent plenty of human ailments, big or small. It can remedy something as simple as tooth decay and may prevent serious diseases like Alzheimer’s. It’s considered to be one of the most effective healing agents on the planet. The plant from which wheatgrass came from is nothing remarkable: the common wheat plant. But when harvested and juiced at the time when its nutrients are at their peak, wheatgrass can provide a lot of health benefits to the body. When is the best time to cut wheatgrass and juice it? Ideally, wheatgrass must be between 7-11 inches tall when it’s cut. This is when the plant is at the brink of its jointing stage, when it will soon shoot up into a massive wheat plant. The power and energy necessary to make that happen is what wheatgrass juice contains. It was Charles Francis Schnabel who discovered in 1931 that wheatgrass, as well as other kinds of grasses, reach their nutritional peak at the stage just before jointing. He observed that his hens, which were already dying, not only fully recovered when he fed them freshly cut wheat grass, they also doubled their egg production. When wheatgrass juice was first being researched, scientists conducted experiments that allowed them to directly compare wheatgrass to other vegetables. Animals which fed on the common vegetables wasted away much more quickly than the animals who fed on wheatgrass, which seemed to thrive. They conducted studies and discovered that wheatgrass contains a wide variety of healing and rejuvenating agents like vitamins, minerals, enzymes, amino acids, essential fatty acids, and antioxidants. Dr. Schnabel went on to determine how to best grow wheatgrass and the best time to cut them. However, it was Ann Wigmore who first used wheatgrass juice as a healing substance in the 1950s. Wigmore was a sickly girl early in her life. Her grandmother was a self-taught naturalist, and naturally, Wigmore used herbs and plants to try and cure herself. She used several different plants and soon concluded that wheatgrass is the most effective healing plant. She used an old cast iron meat grinder and to juice the wheatgrass. Drinking wheatgrass juice is proven to be effective in giving the human body stronger immune system, reduces inflammation, decreases cravings, detoxifies body cells, improves clarity in thinking, gives clearer eyesight, cleans lymphatic systems, provides better sleep, and many more. The high level of chlorophyll found in wheatgrass is also proven to be an effective anticancer agent, which lessens the activity of mutagens by up to 99%. With all these benefits, you should be more than convinced that drinking wheatgrass juice is good for the body. What's the best source of wheatgrass juice? I have tried and tested many different forms of wheatgrasss juice - from growing my own and juicing it (see my photo above) to chilled packaged juice, to wheatgrass powder. My view is that for most people, growing it yourself is just not practical (however, if you do wish to, see my article on how to grow wheatgrass). Mega Greens is a special phytonutrient supplement highly packed with vitamins and nutrients that can give your body an extra boost in energy and vitality. It contains 78 natural ingredients that can really aid your healthy diet: 34 superfoods (including nature's wonderfood - wheatgrass juice), 17 amino acids, vitamins, minerals, enzymes, antioxidants, omega oils, and more. This blend of organic green food helps in alkalizing your body, therefore fighting off acid that can significantly diminish your health. It can help balance your diet and immune system and could help to prevent diseases like obesity, osteoporosis, insomnia, constipation, skin disorders, and even cancer. Mega Greens is available in two variants: Powder with MSM (which can be mixed with juice or water) and Mega Greens capsules. The latter is actually the same powder as the former, only delivered in a more convenient form. Since there is no difference between the two, choosing between them is just a matter of personal preference. If you’re opting for the powder, you need to mix one teaspoon of it into an 8-12 oz. glass of water, then gulp the solution twice or thrice a day, every day. Join thousands of other happy alkaline dieters! Download my 38-page FREE Alkaline Diet Recipes Book and the alkaline diet vitality training videos. If you're looking to really get into a more alkaline lifestyle and want a very comprehensive alkaline diet plan that is both simple to follow and is enjoyable, with lots of great recipes and smoothies, check out my acclaimed Alkaline Diet Vitality Course. It has 3 great recipe books, a superfoods report, a 10-week transformation step-by-step guide, a quickstart guide and audio book, an exercise plan to suit your level and some great free bonuses! Click here.